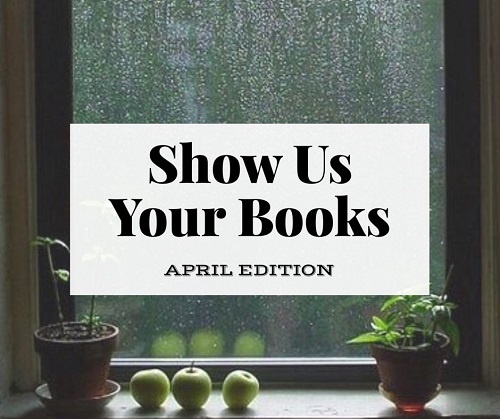 Happy Show Us Your Books Day! I’ve been SO busy writing lately that I haven’t had much time to read, so I only have two book reviews to share with you guys this month. They’re good ones, though! 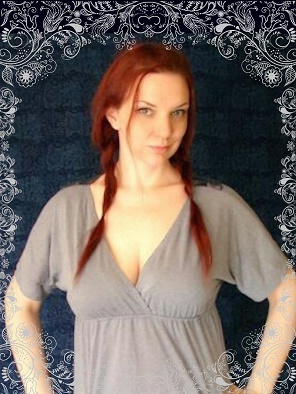 This post contains Amazon affiliate links because coffee and cat food are expensive. I received both of these books compliments of the publishers via NetGalley in exchange for honest reviews. I think we’ve all fantasized about selling everything we own and taking off to travel the world. If you’re a fan of travel books like I am, you’ve probably read at least half a dozen by authors who did exactly that. This travelogue has an interesting twist, though. Before leaving on her trip, the author is given an envelope of money by friends and encouraged to give the money away throughout the trip in whatever way she wants. What results is a different lens through which to view the people she encounters, as well as an interesting meditation on the act of giving and how it makes us feel. I was impressed by the author’s honesty about her thoughts and actions. She reveals a lot, particularly about interactions with her husband, that would generally make her a less likable “character”. I’d be curious to hear how you guys felt she came across. I eventually decided that revealing her less noble side showed both an interesting level of self-awareness and a vulnerability that’s hard not to appreciate. It would have been so much easier to only share the stories that made her look good and thus lessen the likelihood of judgment – something we see a lot of in the world of social media – but she instead chose to commit her flaws to the page, and admire the bravery in that. Good writing, interesting story. Grab it if you’re a fan of travel memoirs or need a good read on your upcoming summer travels. A Colony In A Nation takes a look at the two very different justice systems that you might encounter in America, depending on where you live, how much money you have, and most influential of all, the color of your skin. The fact that our criminal justice system is broken isn’t news to anyone. We have far more incarcerated people than any other country, and the past couple of years have brought issues to light on what feels like a regular basis. I still remember the time that Chris Hayes had to pause mid-sentence as he walked down a street in Ferguson, MO because a police officer had just threatened to mace him if he continued walking that direction. Sure, he was on live TV, but he’s a super threatening-looking dude, right? He’s also so adorable that if you find yourself taking a selfie with him, you may end up looking super derpy because you’re checking him out on your iPhone screen instead of, you know, looking at the camera. Oops. The images of Ferguson we saw on the news, which looked so much more like the latest dystopian movie than a small city just a few hours from where I grew up, were eye opening for many of us. For Chris, the experience covering the events in Ferguson, as well as reporting on what felt like an endless stream of protests following the deaths of other unarmed black men, sparked the idea that became this book. I highlighted so many passages while reading this, and I felt like my mind was blown at least a few times per chapter. Often, I was highlighting relatively simple sentences that had caused me to pause and get lost in thought. Things like, “If a cop shoots someone because he is angry, he is a murderer. But if he shoots a suspect because he is afraid, he is innocent.” Can such huge topics of morality and ethics really come down to human emotion? And if not, what does determine innocence vs guilt? And if we follow that chain of thought, in how many circumstances is fear a valid reason for innocence? “I ran the stop light because I was afraid the car behind me was following me home.” seems more likely to be seen a justified than “I stole the money because I was afraid of not being able to afford rent and ending up homeless.” But both are unlawful actions based on fear, and you could argue that the latter has more potential to end in finding oneself in a dangerous situation that the former. Where is the line? The writing manages to be both incredibly smart and easy to understand. It’s a deep dive into a serious topic, but it doesn’t feel at all like the kind of super dense nonfiction that takes forever to get through. Instead, the writing style is approachable and engaging. So many topics were broached that I’d never given much thought to, such as how different it is to be a police officer in the US, where guns outnumber people, compared to almost any other first world country. My first thought was that I’d never given topics like mass incarceration, how it’s affected by the “War on Drugs”, and how the prevalence of guns in the US plays into it all much thought because I was born into circumstances where those things don’t come up in my everyday life often, if ever. (The only unusual law-related experience I’ve ever had was getting pulled over for expired tags as I was pulling into the parking lot of the DMV to renew them. I could go off on a huge tangent here about how we punish people for being poor. Cant’t afford the $25 to renew your tags? Here’s a $100 ticket!) Eventually, I realized that it’s also because a lot of the changes that led to the current system happened in the 80s, which means that those of us who are under 40 have simply never known things to be any other way. Given the current political climate, I think it’s more important than ever to seek out information on what it’s like to have a different experience of being American than the one we know. It’s important to educate ourselves about the topics that come up in political debates so that when a candidate throws out something that’s just not true, we know. Whether you agree with the author’s politics or not, I’d suggest picking this book up, taking in both the facts and the personal experiences presented, and giving them real thought. If this isn’t the kind of topic you’re usually interested in, I’d double that recommendation. 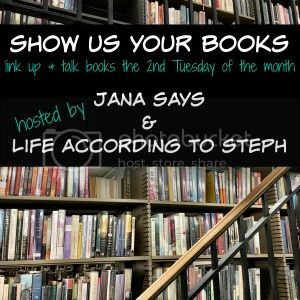 Head over to Life According to Steph and Jana Says to check out what dozens of other bloggers participating in the Show Us Your Books link-up have been reading this month! And be sure to stop by tomorrow – I’m sharing my experience of escaping life’s craziness by running off to a cabin in the woods for a night. Okay, you know I’m not a huge nonfiction fan, but I’m really interested in A Colony in a Nation. I’m adding it to my list. I always feel weird admitting this, but while I enjoy travel, it’s not something I really don’t fantasize about in the way many do. But I love the fact the author was honest about sharing stories that didn’t paint her the best light because that’s real. We are not perfect human beings every moment of the day. I am generally not a big non-fiction fan but your review of Colony in a Nation is so good. I agree it is more important than ever for us to read about different experiences and open our minds and hearts. Adding it to my TBR! As a nonfiction fan and criminal justice nerd, A Colony in a Nation is immediately going on my TBR and will be requested ASAP (or, once the other library books I have are finished). I can’t believe I didn’t hear about this one before! I really like the idea behind The Yellow Envelope. I’ll definitely pick it up when I’m in the mood for a travel memoir! Wow, both of these books look like good reads! I love a good travel book and A Colony in a Nation sounds like a serious, but necessary read. A Colony in a Nation definitely sounds like an interesting and relevant book, adding it to my list! Ooo, I must read the Chris Hayes book. Not familiar with him but the topic is important. I first saw “The Yellow Envelope” on Goodreads, and I put it on my TBR right away. I’ll admit, though, that it wasn’t one of my most anticipated reads. But after reading your review, I’m actually feeling more compelled to read it! Thanks for your review(s)– loved it!